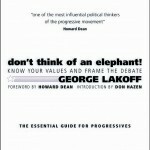 Drew Westen’s book is essential reading for progressives wondering why conservatives keep winning. 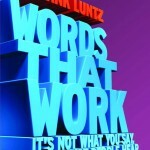 Packed with theory and practical examples. [Wirthlin] realized that all the dispassionate economic assumptions he’d always believed about how people make decisions didn’t apply when people cast their ballots for Reagan. As he discovered, people were drawn to Reagan because they identified with him, liked his emphasis on values over policy, trusted him, and found him authentic in his beliefs. And so the Republican playbook of the late 20th Century was born: tell a story that appeals to people’s emotions (positive and negative) and you will win. It’s been so successful that it’s been exported to conservatives around the world. Yet here we are, 30+ years after the election of Reagan, and progressives still haven’t learnt. There have been exceptions — Bill Clinton understood it, Barack Obama seemed to. But the majority of progressives are still talking about policies and ideas hoping voters will see sense and vote accordingly. Barack Obama has fallen into this trap too. Progressives should be talking in stories that people can identify with and remember. The Political Brain is intended to help progressives communicate in stories and connect with emotions. The first part of the book covers a little science: how the brain works and what networks need to be activated if a communicator is going to convince or persuade.Westen treats the subject well, perhaps realising that many of his readers were not the best science students (I count myself in that number). I just told you how the woman who bought the guns that took the lives of Dave Sanders and Cassie Bernall wouldn’t have done it if she’d just had to fill out a form and show a photo ID. And you still can’t feel for Coach Saunders’ wife and children, who’ll never wrap their loving arms around him again? You still can’t weep for Cassie’s parents? You still think it’s sensible to require someone to show a photo ID to cash a check but that it’s too much to ask that they show an ID to buy a handgun? Americans have a clear choice in this election. And it is about a culture of life. They can do something to honor the lives of those who died that day at Columbine. Or they can vote for a man who, as governor of Texas, signed a law allowing people to bring guns into church. Our Constitution proclaims that every law-abiding American has the right to own a rifle to hunt and to protect his family. I believe in our Constitution, and I believe in the right to bear arms. I spent a lot of time hunting as a kid with my Dad, as many of us did and do. But the right to bear arms doesn’t extend to felons and children, and it doesn’t extend to weapons with no other purpose than to take human lives. These diatribes are an essential part of the book that link the theory of brain science and real campaign scenarios to the words and vision that the campaigns could have run. At 500 pages this book is probably 100 pages too long and there are times Westen does overstep the mark. In one passage he suggests Gore should have attacked Bush’s alcoholism — it comes across as cruel and probably would have alienated voters. In another chapter he suggests a gun control ad that has Middle Eastern men piling cash on the counter and buying automatic weapons as an attempt to link gun control to terrorism. It’s a puzzling suggestion that plays into dangerous stereotypes. Those quibbles aside, The Political Brain is an essential book for anyone working in political or cause-based communications. Whilst its focus is on American politics, the lessons can be applied in a variety of arenas. It beggars belief that progressives are still trotting out the same old comms when a better way is laid out for them. 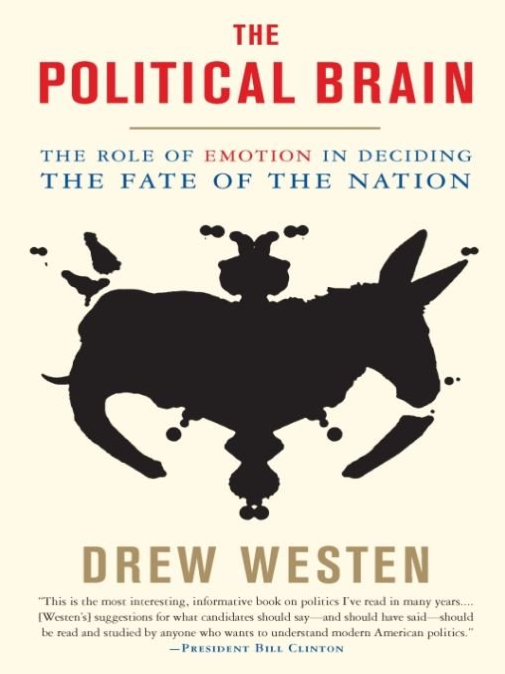 The Political Brain by Drew Westen is available from Amazon.